Halve or quarter potatoes as necessary to make similar-sized pieces. Place in 4- to 6-quart slow cooker. Add garlic, oil, salt and water; mix well to coat all potato pieces. Cover; cook on High setting 3 1/2 to 4 1/2 hours or until potatoes are tender. 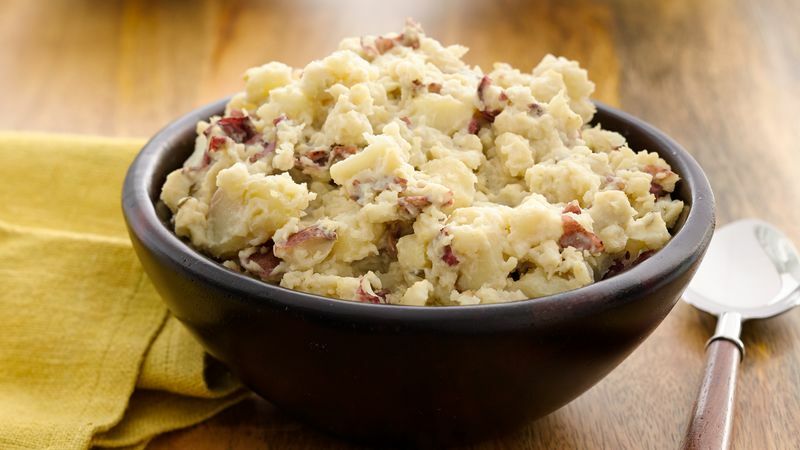 With fork or potato masher, mash potatoes and garlic. Stir in cream cheese until well blended. Stir in enough milk for soft serving consistency. Serve immediately, or cover and hold in slow cooker on Low setting up to 2 hours.